People Dancing International conference 2017 focused, among other topics, on how to lead dance classes for people with Parkinson’s. 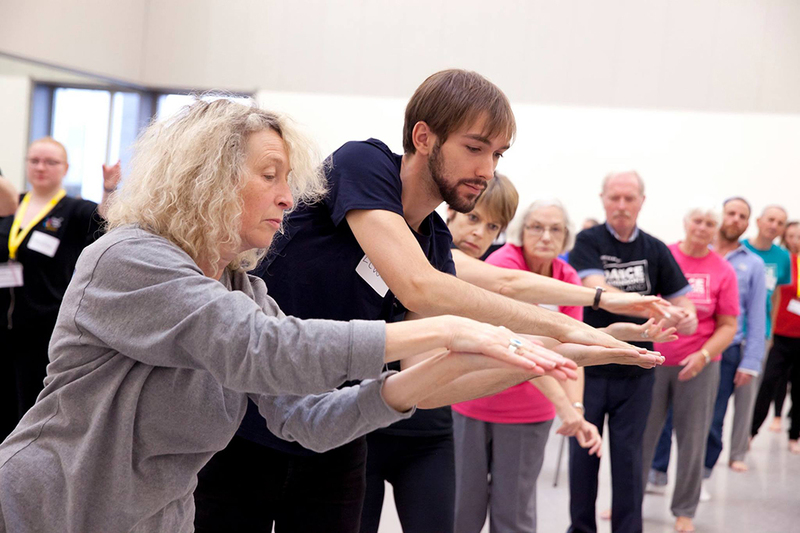 In the photo attached you can see delegates in a dance with Parkinson’s session with independent artist Danielle Teale, who focused on co-ownership of the dancing experience. Other experts included Rachel Bar from Canada’s National Ballet, who spoke about how they reach communities of elders in remote places in Canada by using technology. 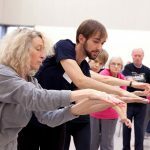 Sophie Younger who teaches dance for Parkinson’s at Scottish Ballet and at Dance Base in Edinburgh demonstrated how certain movements may be particularly challenging, for example those which go across the centre line. These types of patterns are particularly encouraged.how using stories and imagery can liven up the class. She All facilitators stressed the importance of carers taking part as well. Another group of elders the conference focused on are people living with Dementia. Representatives from Rambert Dance Company shared their ideas on how to lead a class for people at early stages, starting seated and gradually moving to standing. These classes also provide a tasting from Rambert repertoire which is referenced in some of the exercises. Magdalena Schamberger from Hearts and Minds offered tools for simulating what people with dementia experience. Simple things like restricting vision can allow some initial insights. While researching and making Curious Shoes, a show for people with Dementia and their cares, Magdalena noticed that one of the things people with Dementia respond to even at later stages is rhythm.